ST. GEORGE – A lingering chapter in a child abuse case out of Toquerville that grabbed international headlines came to a close in court Tuesday with the guilty plea and sentencing of the victim’s father. The father of the victim, a 12-year-old child, is also the one who saved him from over a year of abuse at the hand of his mother. Russell Jaynes, 41, appeared in 5th District Court and pleaded guilty to third-degree felony child abuse that caused injury through negligence and recklessness. He followed the plea with a request to be sentenced the same day rather than wait on a pre-sentencing report that would make sentencing recommendations to the judge. Instead, Judge Eric Ludlow went by the sentencing recommendations agreed upon between the state and defense. Jaynes is to serve 364 days in the Washington County Purgatory Correction Facility. He may be released earlier if credited for good behavior while in jail. Jail time will be followed by 36 months of supervised probation. 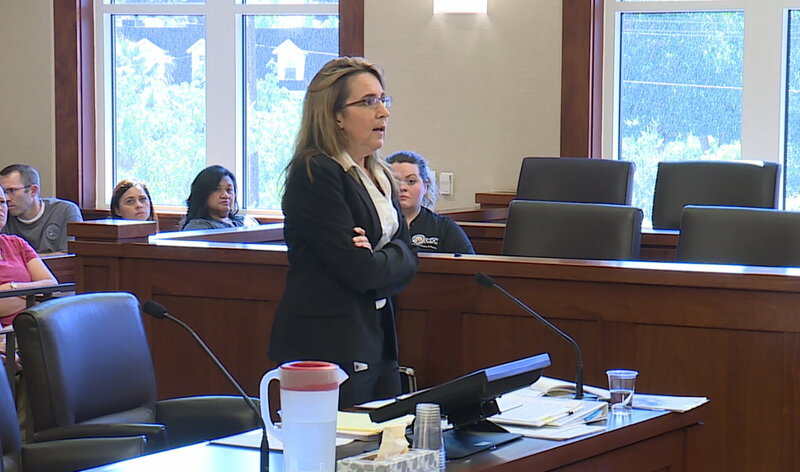 “The state is really pleased to bring a close to this case,” Washington County deputy attorney Angie Reddish-Day said, adding that the main focus of the state has also been on Brandy Jaynes, the boy’s mother. However, the state has maintained that Russell Jaynes held a measure of accountability in the case. The charge stems from the 2017 abuse case primarily involving Brandy Jaynes, Russell Jaynes’ wife. Both police and prosecutors involved have called her actions toward her son heinous and deplorable. 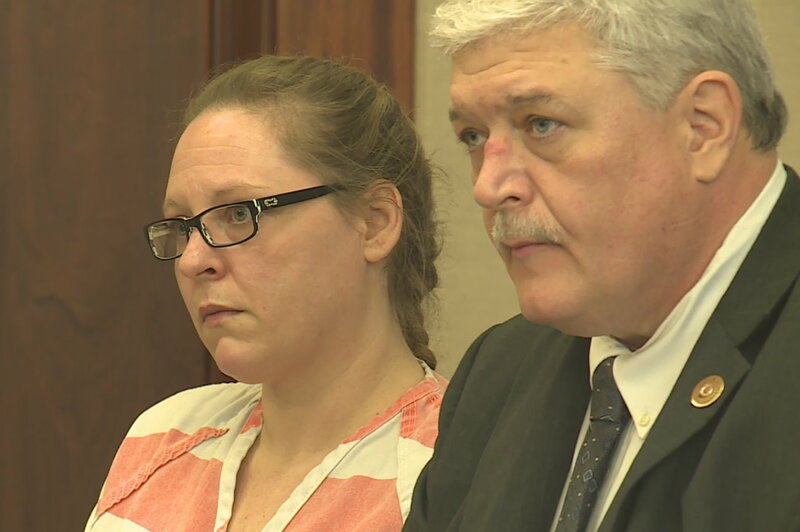 Brandy Jaynes, 36, was sentenced last August to serve up to 45 years in prison for locking her 12-year-old son away in a filth-covered bathroom for over a year. During that time, the prosecutors stated, he was starved and loss use of his legs due to being kept in the tight space for so long. All the while, his mother was able to keep family from the truth of where the boy was, while also keeping tabs on him through a camera and baby monitor connected to her phone and laptop. There isn’t really much evidence as to what Russell Jaynes knew and what he didn’t, Reddish-Day said, adding that the man worked full time while Brandy Jaynes was the primary caretaker of the child. She was able to convince her husband and other family members that the boy was fine. The boy had also been taken out of public school during the second grade to be home taught. However, being locked away resulted in the boy’s academic and intellectual maturation being stalled. Reddish-Day previously referred to the woman as a “master manipulator” for being able to keep other family members away, as well as seemingly brainwashing the boy’s siblings – a twin sister and younger sibling – into thinking their brother deserved the treatment he received. The three Jaynes children have been in state care since January 2017 and are doing well, Reddish-Day said. Eventually, Russell Jaynes took action when his wife wasn’t home and checked on his son. He found the boy in the dirty, feces-covered bathroom. The boy was also in an extreme state of malnourishment and weighed only 30 pounds when ultimately taken to Dixie Regional Medical Center by this father. The Washington County Sheriff’s Office was alerted to the situation by medical staff, and deputies investigated the home. They have since described the situation the boy was forced to live in as something from the set of a horror movie. Brandy Jaynes was subsequently arrested Jan. 9, 2017. The boy has since been recovering in state care, and despite having to deal with lingering leg and ankle issues, he appears to be thriving, Reddish-Day said. 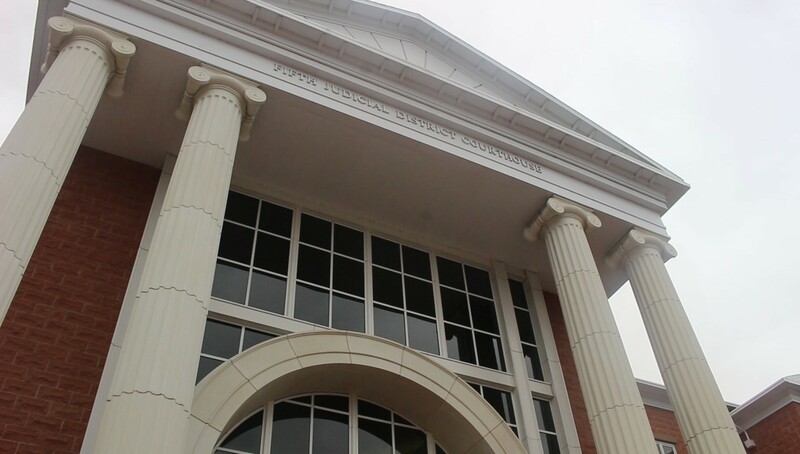 Russell Jaynes has been very remorseful about the situation and has cooperated with authorities from the start, Reddish-Day said, adding that this has played a large factor in the penalties the state sought in this case. While the state threw harsh penalties at Brandy Jaynes and got up to 45 years in prison, Russell Jaynes will have the opportunity to argue having his felony conviction reduced to a misdemeanor in 2021 following the end of his probation. Prior to sentencing, Russell Jaynes attended and completed various programs, including parenting and substance abuse courses, that would have been required by the state as a part of this conviction. This was also considered when sentencing recommendations were made to the judge. Both the mother and father needed to be held accountable for their respective roles and were punished appropriately, Reddish-Day said. Russell Jaynes offered no comment to the court prior to sentencing. His year-long jail term began Tuesday morning follow the hearing. i just don’t understand it. The mother was some kind of psychotic sadist? What was the father? Just a moron? Let’s hope that boy recovers completely before his parents are set loose. All this time I thought the “father” lived elsewhere but he lived in the same house! Disgusting.